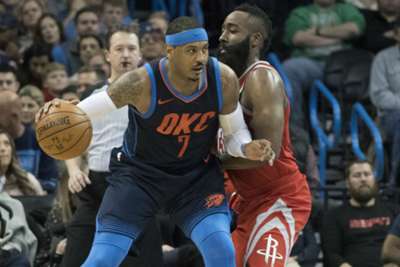 NBA MVP James Harden is excited about the prospect of Carmelo Anthony joining the Houston Rockets. 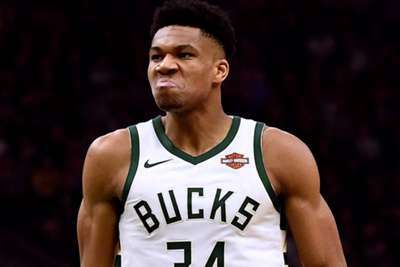 Anthony, 34, was reportedly traded to the Atlanta Hawks from the Oklahoma City Thunder on Thursday, but the veteran is expected to be waived and become a free agent. It was reported earlier this week that the 10-time All-Star has been telling his friends that he expects to join Houston, and it appears Harden approves of the move. "It would be a great acquisition for us," Harden said, via Houston Chronicle. "Melo's a proven vet. He just wants to win at this point, so it would be great for him to be on our team. "The current roster we have now, we've got good guys back and we keep making forward progress." Anthony is expected to still receive the full $27.9million he is owed for next season in the buyout with the Hawks.